Enter [Contact] Section, click [Create Contact] button at the top right corner. Fill the form, then click the [Save] button. 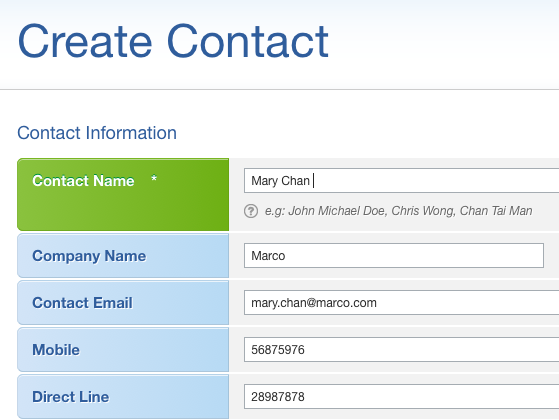 You can customize the data fields of contact. Learn more about how to set up custom data fields.